Samuel was born on 7 July 1897 in Leek to Samuel and Elizabeth (née Bratt). By 1901 the family were living in Mount Pleasant, Danebridge, where his father was a blacksmith. His family recalls his playing in the River Dane as a child. They were still in Danebridge in 1912 but by 1914 the family was farming at Lane House Farm in Wincle. Military records are scarce for Samuel but from his war medals it looks like he joined up early in 1916, becoming a driver, no. 267577, in the Royal Engineers. That’s all we know of his army service except that by the autumn of 1918 he was back at Lane House Farm in Wincle. In May 1919 he married Minnie Pennock from Stockton-on-Tees who seems to have come down to Wincle with her Uncle, Aunt and cousin, the Hougheys who had purchased Silverdale (Churchbank) earlier that year. Their first daughter Gertrude Cemont was born in July when they were living in Silverdale. Samuel, Minnie and Gertrude then moved to Elford near Tamworth where they farmed and two more children were born - Doreen and Raymond. On 17th April 1926 he, Minnie and their three children sailed from Liverpool to Quebec, Canada on the Montrose. In this Samuel was following in both his elder brothers’ footsteps. Harry had gone to Canada in 1911 with a local lad, Joseph Turnock. In May 1912 Jesse followed but didn’t take to it so went back to England with Harry in November. Harry returned to Canada permanently in March 1913, settling in Saskatchewan. Jesse farmed at Wood Cottage in Wincle. 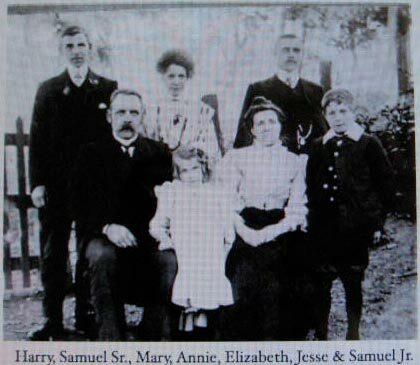 Samuel and family settled in Yorkton, Saskatchewan, not far from brother Harry. A further son, Kenneth, was born in December 1926 and a daughter, June, in 1930. Samuel went out to Canada as a farmer but by WW2 was working as an engineer. 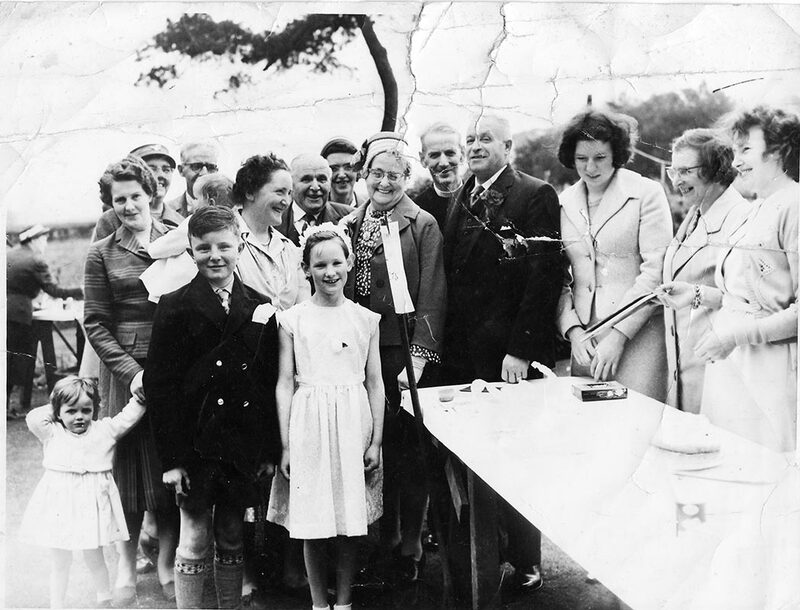 Samuel and Minnie opened the Wincle Church Fete in June 1961 on a return visit from Canada. Both died in Yorkton, Saskatchewan, Canada after suffering from cancer; Samuel on 25th March 1977.